Who is Excited for a Delightful Ice Cream Party to Cool You Down? 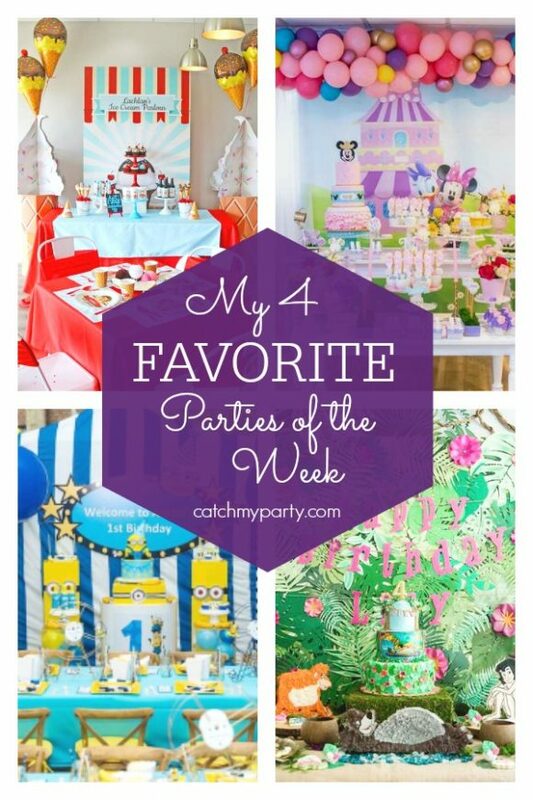 Wait until you see the parties we picked for our four favorites this week on Catch My Party! The parties include an ever-so-cool ice cream party perfect to combat the summer's heat and sweeten any palette. Be sure to check out our other 4 favorites this week for great ideas and inspiration. Today is all for the boys. I show off a lot of girl birthday parties in my favorite parties of the week posts, so I wanted to celebrate boy birthdays this week! 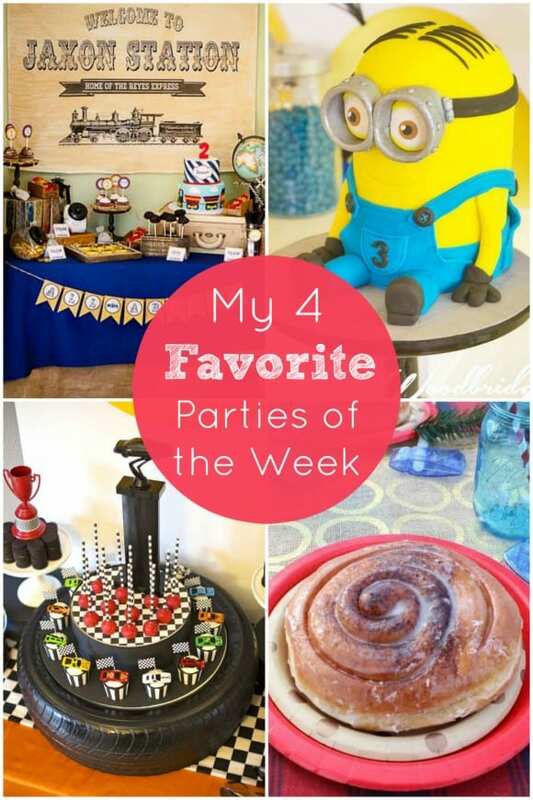 First, you've got to see this amazing Minion party with a seriously amazing cake and cupcakes! In addition, I'm featuring a vintage train boy birthday party (I love the old train whistle party favors), a Paul Bunyan themed lumberjack boy birthday party held in a park and feels very throwback-y, and an amazing race car birthday party with a real tire as a cupcake stand (cool detail).